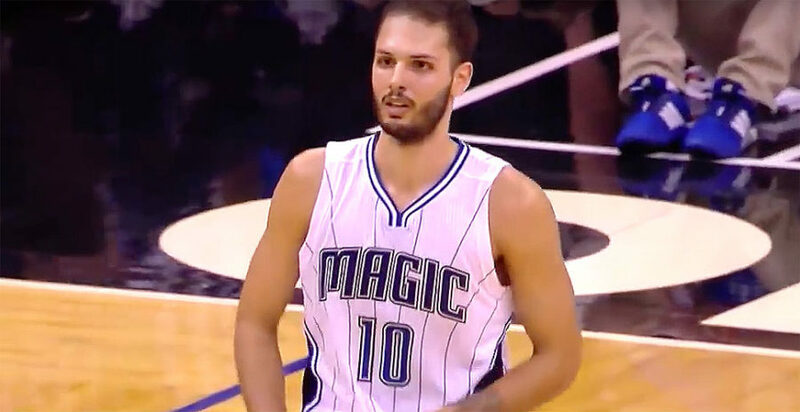 ORLANDO, Fla. — Evan Fournier scored 23 points and all five Orlando starters scored in double-digits and the Magic held off the Miami Heat 116-109 in the season opener for both teams on Wednesday night. Fournier, who went 9 of 17 from the floor and made 3 of his 5 attempts from 3-point range, scored seven of his points in the final 2:27 to help fend off Miami’s comeback. Nikola Vucevic added 19 points, 13 rebounds, two steals and two blocks, while Terrence Ross had 15 points, six rebounds, four assists and two steals for the Magic, who shot 47.8 (43-90) percent from the floor. Aaron Gordon finished with 14 points, nine rebounds, three assists and two blocks, Elfrid Payton ended with 13 points, nine assists and three steals and Jonathon Simmons chipped in with 12 points off the bench for Orlando in the win. Hassan Whiteside led the Heat with 26 points and 22 rebounds and Goran Dragic finished with 17 points, six assists and five steals for Miami, which trailed by 17 early in the fourth quarter but managed to cut the deficit to two with 2:39 left in the game. Dion Waiters scored 15 points, James Johnson had 11 points and eight assists, while Kelly Olynyk, Josh Richardson and Justise Winslow all scored 10 points in the defeat. Orlando Magic travel to Brooklyn to face the Nets on Friday night, while the Miami Heat will host the Indiana Pacers on Saturday.